Fill out the information to receive a quote for repairs. (* Required Fields) Our Fast Quote Form sends a text message to our Technicians for prompt response. Live Chat with Us Below! 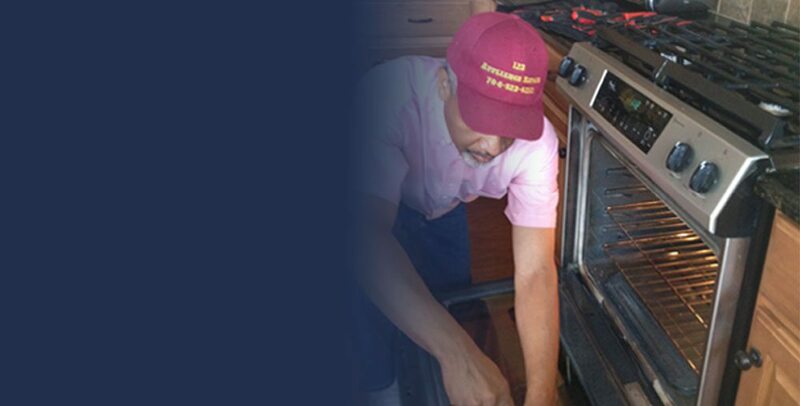 Serving the Carolinas with pride, 123 Appliance Repair is your one-stop shop for home appliance repair service. Your satisfaction is very important to us. We offer free phone estimates on all major home appliances, and we are here to take your call 24 hours a day, 7 days a week. The tech simply showed upon time and knew what he doing. 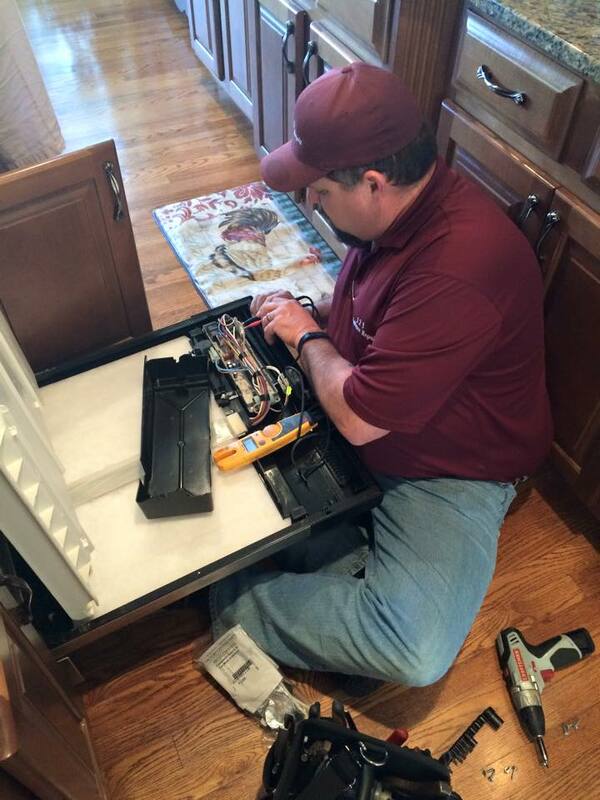 Very knowledgeable about my problem and promptly fix a Samsung refrigerator issue that others were uncertain about. Highly recommended. The refrigerator in my daughter's house stopped working. Called 123 in the morning and they contacted the repairman who promptly called me back and scheduled to meet me in the afternoon. Although he was later than anticipated, he called to let me know he was going to be late. Came in and repaired the refrigerator in about 15 minutes. Had to replace a part which he had in his truck. Very professional, courteous and knowledgeable in what he was doing. Have recommended him to other friends and family. On the first visit, it was determined that we had an inadequate water supply problem which was a plumbing issue that they do not repair. We were just charged for the service call and proceeded to have a plumbing company fix that problem. Even though the water pressure was now adequate, the ice maker was not functioning properly. 123 was called back and resolved the problem. We were just charged for parts and labor for that visit and received a discount for advising them that we found them on Angie's List. 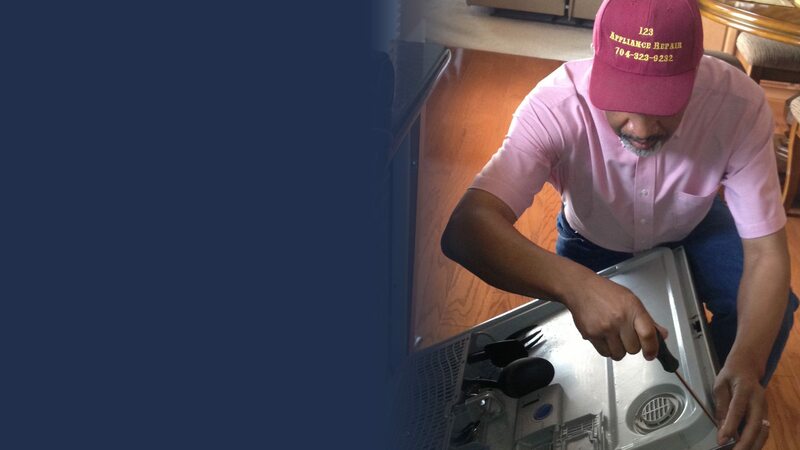 We would certainly use them again for any appliance repair work and would highly recommend them to anyone looking for this type of assistance. I call 123-Appliance Repair around 1 pm and my washer was back in service around 4:30 the same day. Couldn't have gone smoother. James diagnosed the problem when I spoke to him on the phone, told me how much the repair would run, and agreed to come out between 3 and 5 pm. He arrived on time, was pleasant and professional, had the replacement parts with him when he arrived, and fixed the washer. Called them Friday morning and they arrived at 1, inspected the washer, and determined that it needed a new motor & control board, parts that are covered under Maytag's warranty. They said to called Maytag and arrange for them to replace the motor. They also gave me some tips as to what to tell the Maytag repairman when he arrives. I continue to use their service because they know what they are doing. They are quick, they respond, and their prices are very reasonable. I tell my tenants that if they ever have a small plumbing problem, they should just call 123 Appliance, use my name, and I’ll pay for it; I trust them that much. The technician adjusted his schedule to accommodate our day and arrived less than an hour after our initial discussion. He was quick, knowledgeable and professional, in and out in less than 30 minutes. The company only gives free estimates over the phone, which wasn't clear from their profile on the Angie's List website, so they gave us a credit in addition to the member coupon we were able to use since there was confusion on that point. The work that was performed, combined with their commitment to customer service, exceeded my expectations and I will definitely use this company again. The appointment time was changed at my request due to a conflict. They worked with me on the time. He was there when he said he would be and within 15 minutes had diagnosed the freezer problem as a defective relay. The oven problem was just loose wire. He was quick, knowledgeable and courteous. Both problems were repaired and he was gone in less than 1 hour. Excellent service. Even on a Sunday. Took only 20 min. and they were right on time and had the part on the truck. The fridge wasn't making ice... he came very quickly, was very knowledgeable. Had the necessary parts with him and was done within an hour. For some unknown reason a wire on the Maytag dryer burned and had to be repaired. Serviceman came on time and made the repair quickly. We are very pleased with the service and would certainly have no hesitation in calling again. I called on a Sunday and did not expect to get a live person answer, but I did. Within 5 minutes, I got a call back from the technician and he was at my house 30 minutes later. He just happened to be in the area. Although I stated that this was not an emergency and it could wait, he still came right over. They quickly diagnosed the problem and replaced the part. He was very responsible, very well informed and knew what he was doing. 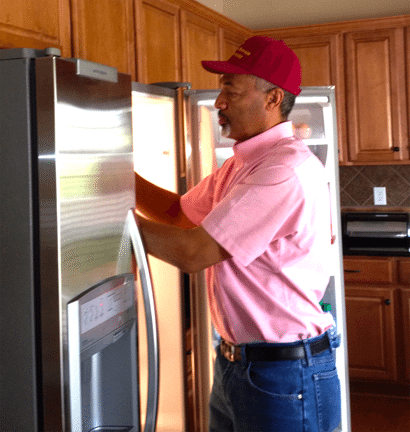 He was able to diagnose the problem quickly and repair it at minimal cost, where I thought I might have to get a new refrigerator. My washing machine began leaking water. I called 123 Appliance, was greeted by a friendly representative who obtained necessary information from me and placed a dispatch to a technician. I was given a range of time when the technician would call and come to my home. The technician called in that range, and when he arrived and saw the machine and the location of the leak, quickly diagnosed that a new pump was needed. This was replaced in just a few minutes (the technician was an experienced one who formerly worked for Sears) and for a reasonable price. The technician was very friendly and courteous and even helped towel-dry the floor around the machine. I used them to service my refrigerator. The guy who came out was professional and timely. He was responsive and did the job correctly. 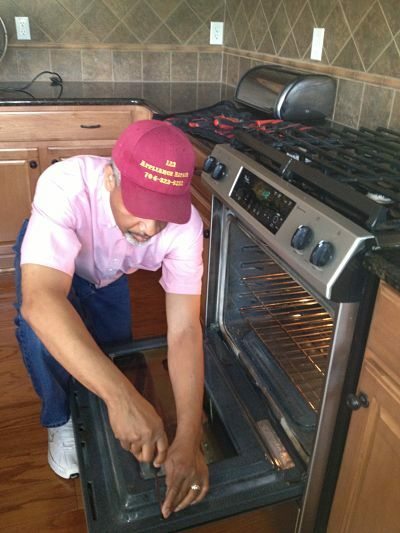 We called 123 Appliance Repair based on the great reports posted here. We called in the morning and were told they could come out in the afternoon. We scheduled him to come out between 5 and 7 and he said he would call 30 minutes before he came. He called at 6:40 and got here at 7:10. He was able to figure out what was wrong within a few minutes and had the parts to fix the problem in his truck. He was done before 8 o'clock and did great work. He was very knowledgeable, personable, and professional. The work was a little pricey but it was worth it. They came out and was extremely knowledgeable and professional. He took the time to explain the issue to me in detail and showed me inside the machine where the problem was. It was one of the best experiences I have had with any service provider. 123 came out quickly and with little notice. They were quick, efficient and polite. My washing machine quit filling about 4 pm. My husband looked at it and said we needed to call someone. Went to Angie List and saw this co and the fact they had a coupon. Called them and they came out by 6 p.m. Fixed the machine and I was doing my next load. It went great! Friday night, I came home to a nightmare! My upright freezer in my garage was leaking a small amount of water. When I opened the door, some of my frozen food was starting to thaw. 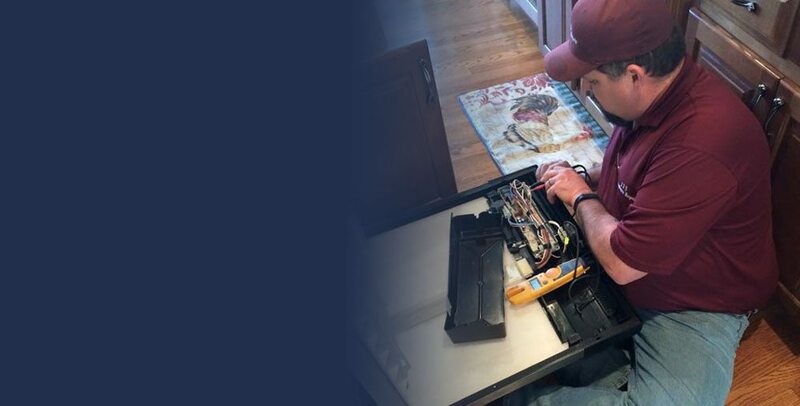 Saturday morning I called several appliance repair companies in Charlotte that claim to be 24/7 with free service calls when repairs are made. Unable to reach anyone who would either answer the phone or come out in a timely manner, I called 123 APPLIANCE REPAIR. James called me back, came out within 30 minutes, and repaired my freezer on the spot in about 15 minutes. He was experienced, polite, and professional; and I was not overcharged or charged extra for Saturday service. James and 123 saved the day! and my food! THANKS A LOT... I will definitely call again and again when needed!!! Some of the Brands We Serve.